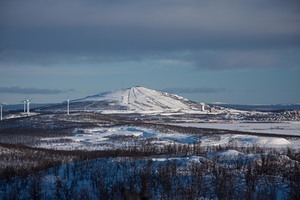 Kiruna in Sweden is a very small ski resort with just three ski lifts with only 156 metres (512 feet) of vertical descent. Kiruna has 4 pistes. Kiruna is best suited for intermediate skiers and snowboarders but there is a also a lot of terrain for beginners and experts too. 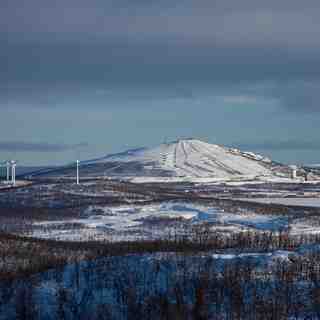 There are 6 kilometers (3.8 miles) of cross country ski trails at Kiruna. For snowboarders, there is a half pipe. The mountain offers nothing of a freeride experience. But if you're a park-shredder, Kiruna has a pretty damn good park. The only negative to say about the park would be the exposure to the wind.